Backstage at Virgin Australia Melbourne Fashion Festival 2019 for Carla Zampatti’s show. Image by Lucas Dawson. Melbourne is known as a stylish city and it’s the home of many celebrated Australian fashion brands including Maticevski, Thurley and Gorman, as well as an exciting range of emerging and established designers. In the spirit of experiencing all the fashionable delights Melbourne has to offer I recently spent four days there during the biggest fashion event of the year Virgin Australia Melbourne Fashion Festival (VAMFF). While the city is usually an exciting place to explore, Melbourne goes up another level in the style stakes during VAMFF and its seven days of spectacular shows at the Royal Exhibition Hall are a must-see. There are lots of other fashion-inspired activities and all kinds of shopping to enjoy too with everything from exclusive high-end boutiques to charming vintage stores on offer. My trip certainly began in style with a business class flight on Virgin Australia direct to Melbourne where I was treated to a luxurious experience with attentive service, delicious food and extensive in-flight entertainment options via WiFi. The flight flew by with ease (pun intended) and I arrived in Melbourne feeling pretty great considering I’m not usually an early morning person. Virgin Australia flies direct to Melbourne from Auckland, Christchurch, Wellington, Queenstown and Dunedin. 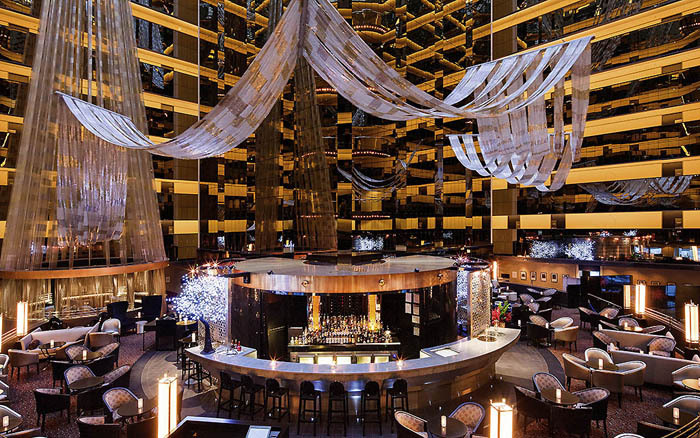 Interior of the Sofitel on Collins. Image supplied. Whisked into the city centre by a friendly driver, I checked in to the impressive Sofitel on Collins which is an elegant luxury hotel adjacent to lots of designer boutiques. 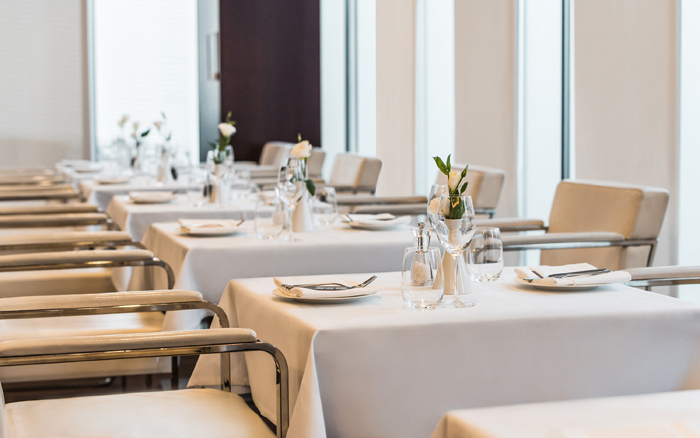 The excellent service starts from the moment the car door is opened for you and you’re welcomed into a stunning hotel where nothing is too much trouble for the friendly staff and everything is well appointed and stylish. A delicious lunch at Bar Saracen featuring a range of tasty Middle Eastern dishes was the perfect way to kick off a trip full of culinary delights. Some of the nicest hummus I’ve ever tasted was complemented by mezze plates, barbecue dishes and fresh salads. It’s tucked into an alleyway like so many great Melbourne places are but definitely worth a visit. Suitably sated it was time for a leisurely stroll down to the National Gallery of Victoria, taking in the sights and shops on the way. 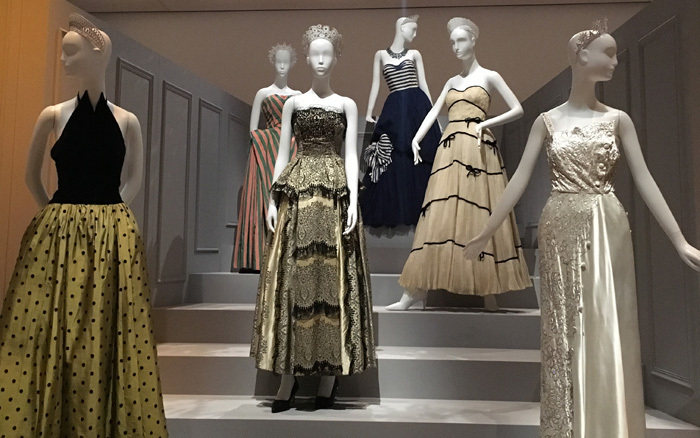 The recently opened Krystyna Campbell-Pretty Fashion Gift exhibition was an exceptional experience offering an incredible collection of rare vintage couture and modern pieces that are situated throughout several of the main galleries. It gave the viewer a unique opportunity to muse on clothing as art and put both in the context of history as well as marveling at the skill of some of the world’s most legendary designers. The exhibition includes some rare pieces from the likes of Gabrielle ‘Coco’ Chanel and Madeleine Vionnet as well as modern looks from the likes of Alexander McQueen and Maria Grazia Chiuri for Christian Dior. It’s definitely a must-see for couture fans and there is also a catalogue of vintage magazines and sketches to accompany the magnificent fashion on display. You can catch it at the NGV until July 14th. Couture gowns in the Krystyna Campbell-Pretty Fashion Gift exhibition. Image writer’s own. A fascinating afternoon of soaking up extraordinary art (as it was impossible not to pop in for a look at some of the other exhibitions on display) worked up an appetite and it was off to Hotel Lindrum‘s Felt restaurant to sample the new British inspired menu by chef Matthew Simon Bentley. British food has definitely come into its own over the past couple of decades and the modern take by Bentley was a real delight and offered a clever twist on some UK classics. The Berkshire pork belly and lavender crème brûlée were definite highlights. After a restful night’s sleep in a particularly amazing suite at Sofitel on Collins, I ventured down to try breakfast with a view at the hotel’s Sofitel Club Lounge. Sweeping views across the city on a sun-filled morning is a pretty wonderful way to start the day and after a delicious eggs benedict I was ready to take in some more of Melbourne’s fashionable offerings. While we do have a David Jones in Wellington, I’m not there very often to enjoy it so my first stop was to check out the big David Jones on Bourke Street which offers a host of exceptional designer labels from New Zealand, Australia and around the world. You’ll find everything from modern Australian labels Bianca Spender and Camilla & Marc through to the latest from luxury fashion houses Chloé, Gucci and Fendi on offer. One of the best things about beautiful department stores is the chance to shop the things you can afford while admiring those amazing items that cost a house deposit all under one roof. Since I was in the neighbourhood I popped in to look at Emporium Melbourne next which offers an impressive eight levels of shopping with over 200 brands to experience. I was drawn towards the stylish boutiques of Australian labels Scanlan Theodore, Alice McCall, Zimmermann and Manning Cartell. Looks by Carla Zampatti on the runway at the VAMFF Grand Showcase. Images by Lucas Dawson. Virgin Australia Melbourne Fashion Festival is a pretty big deal for the city and showcases the finest Australian designer fashion so it was with a great deal of excitement that I got ready to attend the Grand Showcase featuring iconic designer Carla Zampatti. VAMFF really knows how to put on a dazzling event and a fun range of activations greets attendees on arrival at the Royal Exhibition Hall. A drink in the Virgin Australia Runway Bar (curated by Cj Hendry) was a must before the show with the brand’s signature purple used to create a vibrant bar that was bubbling with enthusiasm for the show ahead. And what a show it was, Carla Zampatti is well known for her impeccable suiting and gorgeous gowns both of which were out in force on the runway. Talented Australian singer Dami Im provided soaring live vocals as a succession of models sashayed in Zampatti’s stunning Autumn/Winter 2019 collection. Among the key trends were swinging tassels, appealing animal print and so many sequins. Her masterful use of tailoring and draping demonstrated why Zampatti has been a fixture of Australian fashion for over 50 years. There is nothing better than exploring a city with a local, especially when it comes to finding unique boutiques and independent designers who might not be so well known. That’s where Melbourne’s Fashion by Foot comes in with personal stylists Donna Cameron and Briar Jasper-Batson offering a range of fun and fashionable tours enabling you to explore different areas of the city on curated walking tours. Designer Tamara Leacock from REMUSE on the Fashion by Foot tour. Image writer’s own. Sustainability and ethical fashion was the focus of the tour I took with Donna and Briar who were friendly and very knowledgeable hosts. We did a four hour long loop (including lunch at Charcoal Lane) around eclectic Collingwood meeting some great local designers who have their boutiques and workrooms in the area. Starting at the Livia Arena boutique on Smith Street it was a pleasure to meet and enjoy the work of designers Livia Arena, Angela Clark, Tamara Leacock (REMUSE), Alice Edgeley and Nevada Duffy. 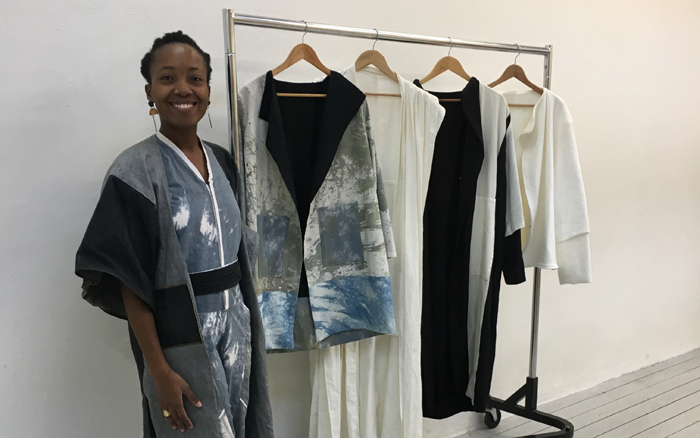 Each one had a different approach with all the designers focused on making small runs of ethically produced and sustainable clothing and it was a joy to see their latest creations. The tour finished up at Dispensary 219 which is a hidden gem and housed a cornucopia of fashion finds including designers Johanna Preston (Preston Zly), Andrea Nicholson, Kathryn Jamieson (Gun Shy), Bronwyn Nicholson (Sadotna) and Jenny Anderson. I’ve watched Heston Blumenthal’s mind-blowing culinary creations many times on television so I was pretty eager to experience the chef’s Dinner by Heston restaurant at Crown Towers Melbourne. The glittering hotel and casino is quite a sight and anticipation was high upon entering the restaurant (which has an amusingly unusual entrance by the way). A three course cocktail flight inspired by the Prohibition era was a fun way to start the experience and involved some refined cocktails paired with snacks also from the time period. Feeling a bit merry from three delectable cocktails it was on to try the three course à la carte menu in the luxurious dining room overlooking the Yarra River. Heston and chef director Ashley Palmer-Watts have created clever versions of historical dishes with meals dating from 1390 to 1970 on offer (each dish has a corresponding year beside it on the menu). I tried the Salamagundy, Roast Pork and Chocolate Drops all of which were rich and delicious in the best possible way. The meal was followed up with icecream made at the table with a whimsical liquid nitrogen machine that made for dreamy icecream carefully rolled in your selected topping. Dinner by Heston was truly a treat. 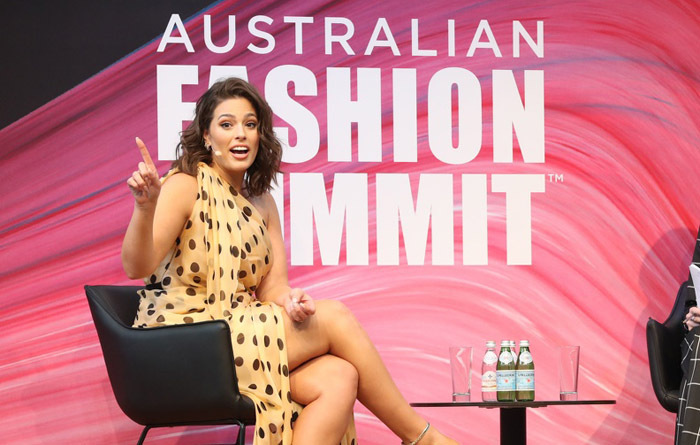 Supermodel Ashley Graham on stage at the Australian Fashion Summit. Image by Lucas Dawson. This year VAMFF hosted the inaugral Australian Fashion Summit which was on the last day of my trip and understandably a must-do for an avid fashion fan like me. With tickets available to the industry and the public for a full day of seminars and presentations with the theme ‘Power to the Dreamers’ it was held at The Deakin Edge Theatre. Hosted by Glynis Traill-Nash, Fashion Editor of The Australian, the line-up of speakers was really a who’s who of the Australian fashion industry with the likes of Simon Locke (ORDRE), Akira Isogawa, Pip Edwards, Claire Press, Heidi Middleton and Yasmin Sewell among many others taking to the stage. Topics covered ranged from sustainability and ethical fashion (which are global hot topics in fashion) to digital disruption, new retail models and brand identity. American supermodel Ashley Graham was an energetic keynote guest speaker who discussed how the changing representation of diverse models is the new normal in the industry as well as highlights and tips learned from her stellar career. I left with a head full of fascinating information and an overwhelming sense of positivity that fashion is heading in the right direction, not to mention a bit of a girl crush on the amazing Ashley Graham. Before I knew it my trip had come to an end and it was time to head back to the airport to enjoy the comforts of the new international lounge called The House at Melbourne Airport, which is the home of Etihad Airways and Virgin Australia. It was easy to forget you were at an airport with the stylish restaurant and bar area as well as quite private lounging spaces to relax in pre-flight. The House at Melbourne Airport. Image supplied. I travelled home on Virgin Australia’s Economy X service which offers priority benefits and 40% extra legroom which is excellent if you’re a bit long-limbed like me. All of the airline’s economy fares include a complimentary meal, complimentary drink, complimentary 23kg piece of checked baggage, and inflight WiFi across the entire fleet which makes for a pretty enjoyable way to travel. I arrived home in Auckland with a tonne of photos, a few pretty new wardrobe items and a renewed love for Melbourne, which I’m planning on visiting again soon. My trip to Melbourne was courtesy of Virgin Australia and Visit Victoria.